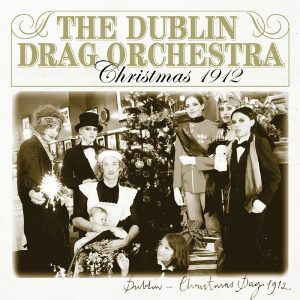 Join The Dublin Drag Orchestra for a dance on the volcano and travel back in time to 1912 – a year of warm family gatherings, carefree abandons and louche and decadent elegance – a time of calm and tranquility before the approaching storm. Following their internationally acclaimed debut double album MOTION OF THE HEART and VIVA FRIDA! 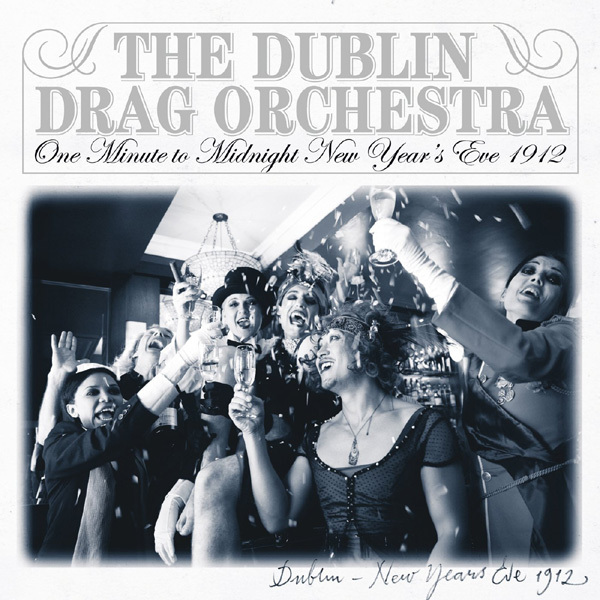 The Dublin Drag Orchestra present two special Limited Edition 7” Vinyl Singles for the holiday season, Christmas 1912 and One Minute to Midnight, New Year’s Eve 1912. The two singles are truly collector’s items – made of the highest quality vinyl, each single includes a certificate for a free digital download of the music on the record plus an instrumental bonus track from the opera Médée by Marc-Antoine Charpentier. Christmas 1912 and One Minute to Midnight, New Year’s Eve 1912 are also available as an EP digital download titled The Lost Discs. Marc-Antoine Charpentier is regarded as one of the foremost composers of late 17th France though little of his remarkable liturgical music is known. The sublime Litanies de la Vierge, also known as the Litany of Loreto, are comprised of nine motets scored for a variety of vocal and instrumental forces ranging from settings for 3 to 6 voices. It was probably composed during the early to mid 1680s and intended for musicians in the service of the Duchesse de Guise whom Charpentier was serving at the time. 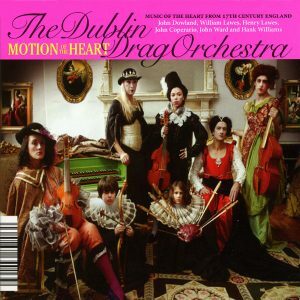 The version performed by The Dublin Drag Orchestra is for 3 voices (Alto, Tenor, Bass), viol consort and continuo. 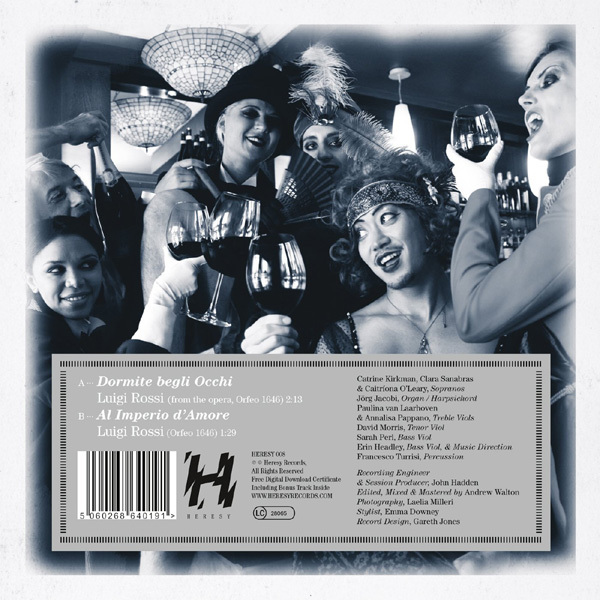 The two singles are truly collector’s items – made of the highest quality vinyl each single includes a unique certificate for a free digital download of the music on the single plus an instrumental bonus track from the opera Médée by Marc-Antoine Charpentier.